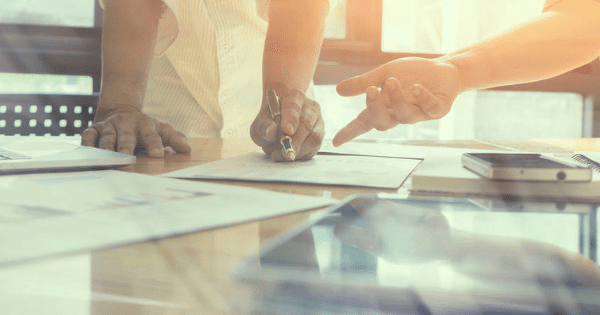 When dealing with one of the most sensitive aspects of running a business—disbursing money to vendors—it stands to reason that organizations require varying degree(s) of approval. However, while the idea is ironclad in theory, the reality is that organizations often put flawed approval processes into place which could result in lack of transparency and oversight of expenditures. Flexible Approval Workflows: Businesses need flexibility when deciding who is going to approve payments—the knowledge of what was bought, received, or often does not reside within the same area of the business. The system’s core functionality allows approvals of almost any kind to be set up. These approvals can be routed to a department head, a location manager, an employee’s supervisor, or even directly to a specific person. The invoice can also be approved by one person, while the payment itself is approved by another, ensuring that each step of the process is being examined and certified by the correct member of the organization. Ease of Collaboration: Gone are the days of tedious email chains regarding the coding, amount owed, or any other aspect of invoice approval. 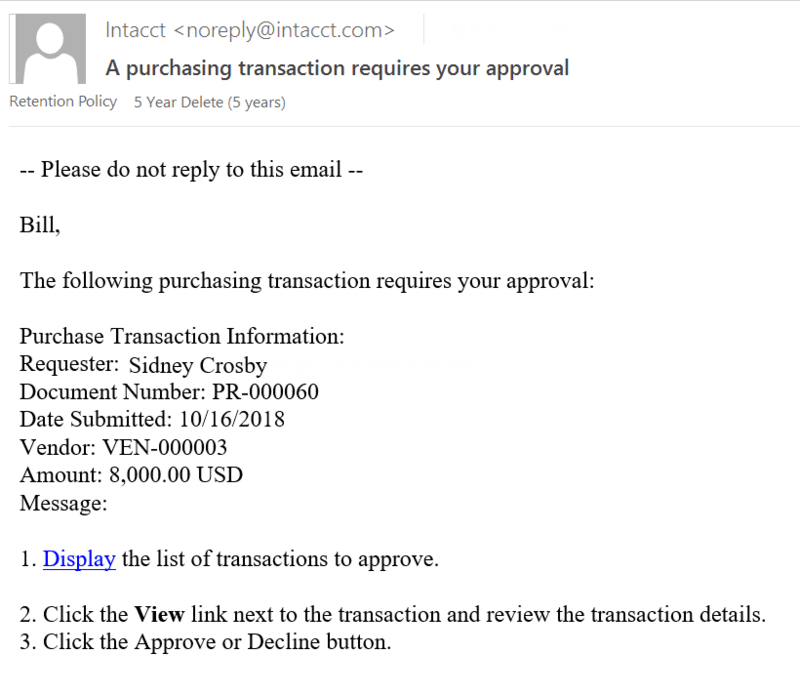 The system allows users to leave comments directly on the document being approved, which will be available even after the invoice has been processed. A user can receive automated e-mails when approvals are outstanding, or comments are updated to ensure an efficient approval process. Concrete Audit Trail: Similar to the streamlining of collaboration, centralizing invoice processing within the system will also eliminate frantic searching for stories on how or when something was paid. 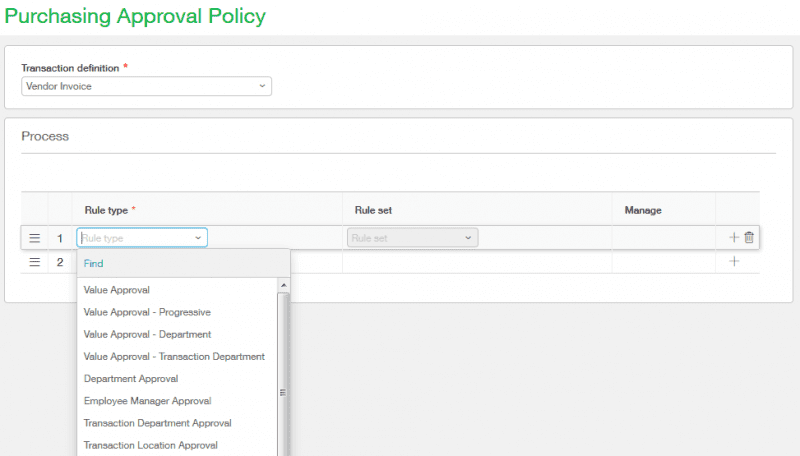 Given the correct permissions, users can see who created the invoice, who approved or rejected it, changes made, and when (or if) it was ultimately processed. Supporting documentation can be attached to the transaction and will be accessible through each step of the approval process. After the invoice is processed and the GL impact is realized, the supporting documentation can be reached by drilling into a financial report and all the way back to the original transaction. Utilizing Sage Intacct’s native invoice approval functionality allows an organization to gain insight and control over its spending. The functionality is flexible to fit all types of business needs—the key is to understand what is available and how to use it. If you’d like to learn more about Sage Intacct’s native invoice approval process and how it can benefit your organization, contact us to speak directly with a team member from SC&H Group’s Accounting Solutions practice.